I'm in a stitching slump. 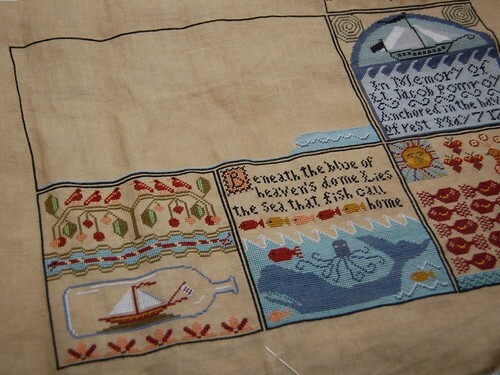 I've been avoiding stitching the big block on Shores. I'm thinking I need to work on something smaller for a little bit and then get back to it. I do like my original kindle, but I go through long periods of not using it. *scratches head* I thought you got a nook earlier this summer; did something happen to it or did you decide to switch to kindle for some reason? Oh, I think I'm going to get one of these, you enabler you! Tell your DH that you're an "early adapter!" LOL. I'm waiting to see also what new goodies Apple is coming out with this year. I have been looking for a cute case I will have to check out my Target. I love my Knidle. I have downloded so many free books that are actually REALLY good. I have the K3. You will not be disappointed. 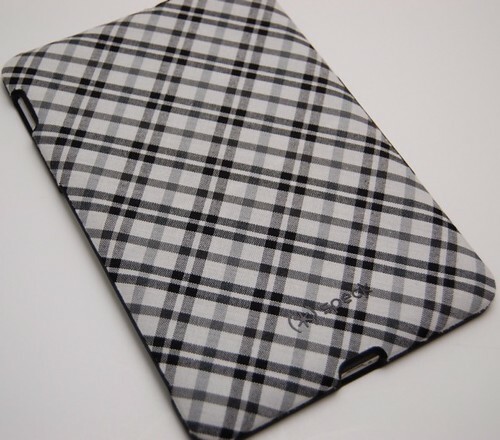 I also just ordered a decal skin for it (I have the unlighted case, I prefer a hard cover) from the Decal Girl. She's having a 20% off sale this weekend too. maybe a little early christmas ornament before going back to the shores?? 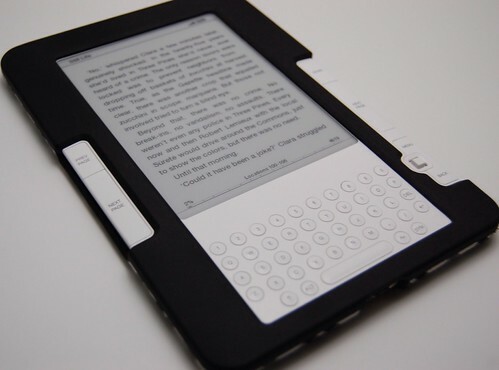 Do you prefer the Kindle to your iPad? I had thought to get a Kindle and then waited for the iPads to come out. I am still procrastinating! I have the 2nd generation Kindle and love it. I like having a ton of books in one little thing. Ah - you need the feeling of accomplishment! Stitch an ornie or a small...then you'll be ready to get back to it. 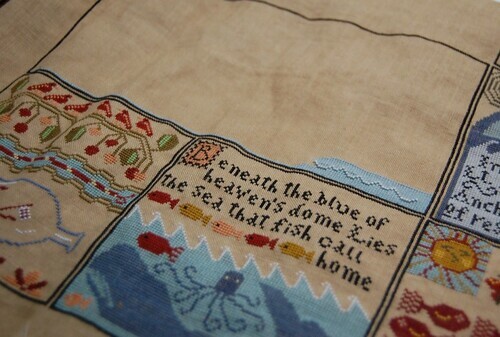 Your Shores looks fabulous, even if you are in a stitching slump. I'm kind of in one too! But I know I'll move on out of it shortly. Enjoy your mom's Kindle. I'm waiting for one that reads to me so I can stitch and listen. For now, Audible.com has been my friend. Fun!!! Glad you found your mom a Kindle. Your Shores is looking great! Don't let the big central block intimidate you, it goes faster than you'd think. Sorry to hear about the slump, Nicole! Definitely grab something else to see if that strikes your fancy, even if Shores looks SO good! I was never able to stitch a HRH project straight through. I can't wait to hear what you think of the Kindle 3!